In this post, we take a look at how to get Ethereum and an Ethereum wallet up-and-running from a developer's perspective. Many people know about Bitcoin, because of its recent rise (and soon crash?). However, Bitcoin is just a currency, albeit a crypto one. As such, it's of very limited interest to me. But it's based on the concept of blockchain and that seems to be much more interesting. 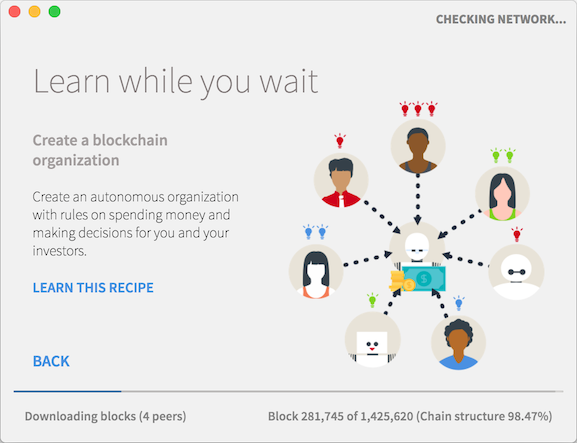 While there are a lot of resources available on the Web regarding blockchain, they mainly focus on the concept of blockchain, or how it works internally, not so much on how you can as a developer use it. This is the first post in what I hope will be a series which aims at correcting that. The blockchain implementation I'll be using will be Ethereum because it's an already established technology, with a mature ecosystem around it. This post will describe how to set up the whole tooling around Ethereum, and lay the foundations of the posts to come. The wallet is the first step when you want to start working with Ethereum. It's called a wallet because it does hold the Ethereum currency - called ether. It also holds other custom assets - called tokens. Ethereum provides such a wallet, just download it from the homepage. This software also allows you to deploy and run smart contracts. Then, an account needs to be created. Choose a password. Whatever your stance regarding it, money is at the foundation of the world. In Ethereum, this is no different. On the production network, you'd need to buy ether from a broker. On "Rinkeby," which is a playground network, one can just ask for ether. 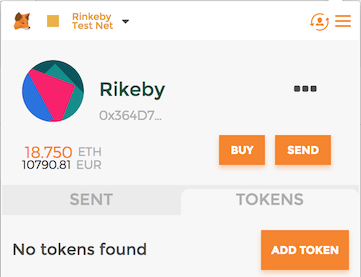 Go on https://faucet.rinkeby.io and follow the instructions to receive ether. You basically have to post your wallet public key on a social network - to prevent abuse. The rate by which one can ask for ether is also limited, to prevent abuse. Funds should be available soon after the post has been published on the social network of your choice. Check your account, you should be richer. 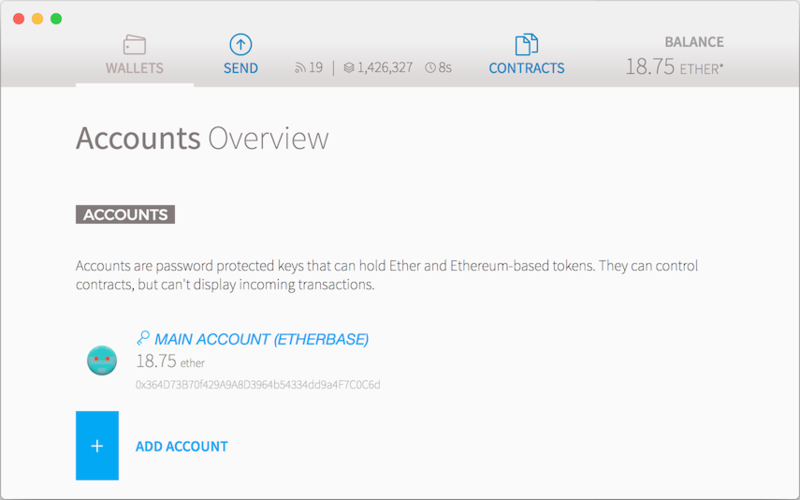 The balance can also be checked on etherscan.io. Just replace the last segment of the URL path with your account public key. Chances are you will have multiple computers, or you will change computers, or even change software. As such, it's very important to be able to export/import accounts.
. There should be one keystore file, starting with UTC, which name matches the public key (the one posted on social media previously). Its content is in JSON format. Another available wallet for Ethereum is MetaMask, available as a dedicated browser or a Chrome extension. Install the Chrome extension - it can be uninstalled just afterward. Locate the extension in the browser bar. Locate the Account button - it's the second rightmost one. In Select Type, choose JSON File. Point to the above file. At this point, MetaMask should also display your account and its balance. Notice it's the same account public key and the same balance.